It decreases stress, to have someone on your side, validating your grief; someone who is able to stand up to those harming you & make them afraid. 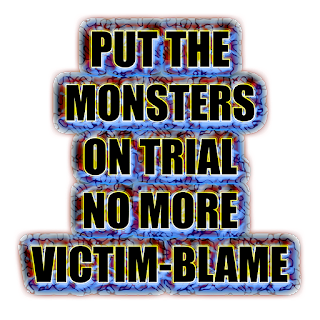 Not wise to interact with erroneous accusers who victim-blame & nonsense 200+ years of psychiatry’s Government endorsed abuse of humans. If Robin Williams, before his death, told you how the SSRIs were making him feel suicidal & giving him Parkinsonian symptoms… what then? If Norma Gene/ Marilyn Munroe had not been subjected to forced psychiatric 'medications' and arbitrary detention... and shamed into silence and suicide at what was done to her by psychiatrists. If you go to a doctor and tell them how to feel, they’ll diagnose you as fcksht and give you some poison to swallow. If you feel like telling a friend how you feel, they tell you to go get checked out by a doctor, as if you want that sleazy drug dealer checking you out! 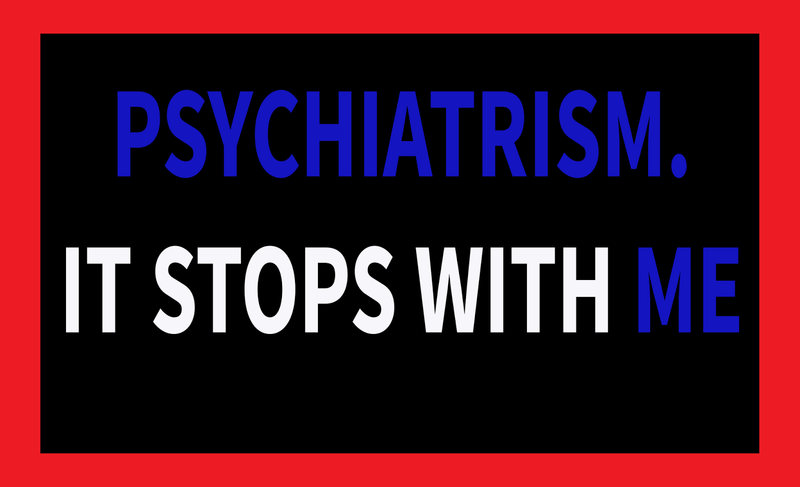 Initially, no one gets it, that psychiatry abuses people, enslaves them as specimens & does not help or heal. 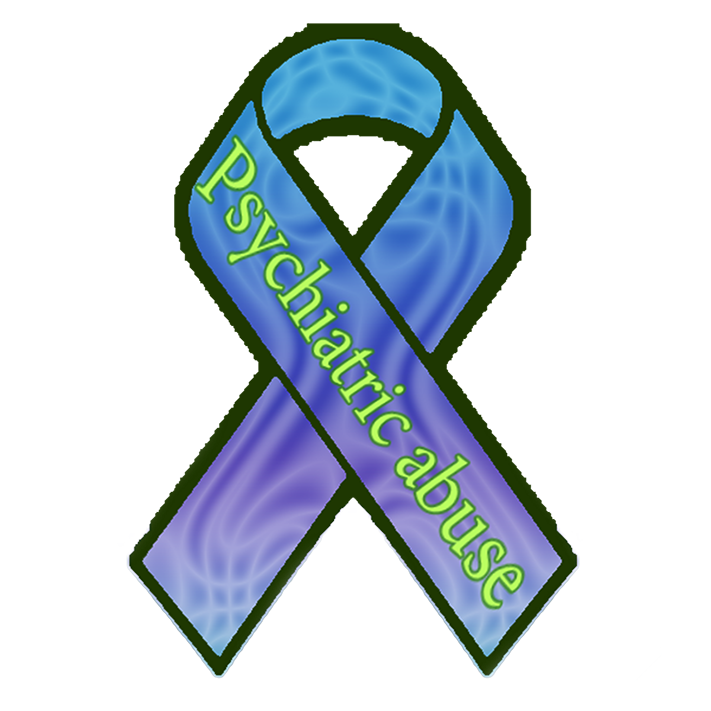 Initially, no, the population don't recognise psychiatry's propaganda, they instead vilify the victims of torture & laud psychiatrists. Initially no understanding – society blames the victims & celebrates the whitecoat torturers. So, what to do about the ignorance? Keep questioning and putting our thoughts out to those who are permitted a platform to speak on behalf of the rest of the world and talk publically about our society's wrongs enough to create awareness. So, yet another question, from the persistent Ms Initially NO (that'd be me), to ABC Q&A to enable their panel to discuss this disgusting human rights abuse, that is forced & coerced torture of people in Australia. 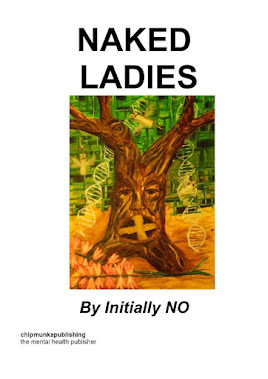 Inspired by another of ABC's programs You Cannot Ask that, which has NOT yet included a show for Survivors of Torture/ Psychiatric Regime Survivors. And, there's a reason for that... prejudice? discrimination? 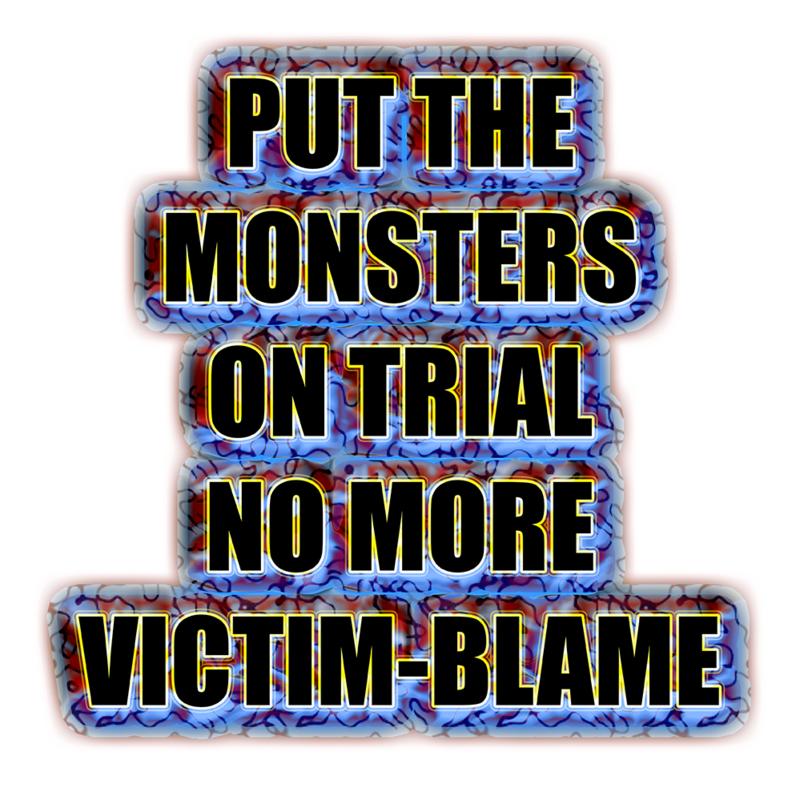 victim-blame? Don't touch that with a barge pole or you're labelled 'fcksht' and cannot get sponsorship? Oh! That's right anyone labelled and tortured by psychiatry doesn't have the right to speak out against their abusers, they're only allowed a platform, if they are willing to be a pet specimen for psychiatrists to display on a show about fcksht. 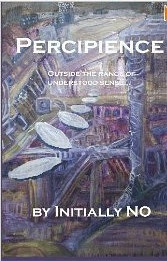 People generally think they can say anything they like to people who are/ have been tortured by the psychiatric regime. But, the truth is, they must stop these psychiatrisms, in the same way as they must stop racism. We really do not need people accusing us of being ‘incoherent’ or ‘crazy’. 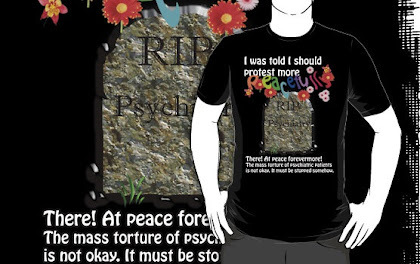 We know that's the bullying that got us tortured, and is especially insensitive to people who are still being tortured by psychiatry, or those who are being discriminated against for speaking out against psychiatry. 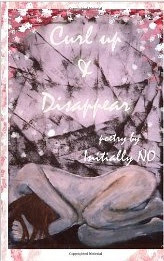 We know it is a really subjective thing - perception - that we've been diagnosed as 'diseased' for. And people can attempt to nonsense and pooh-pooh anything they don't wish to allow a discussion of. And, we know they do, on a regular basis. Psych survivors don't need to be told that we're an organised religion either - that's the propaganda coming out of people's mouths. How abusive are you, to throw that rubbish on us? Speaking out against the torture procedures that psychiatry inflicts on people 24/7 indefinitely, has nothing to do with religion. And, for a 4th generation atheist, like myself, it is just ridiculous. Read our lips: we did not want to be tortured. Psychiatry tortured us. 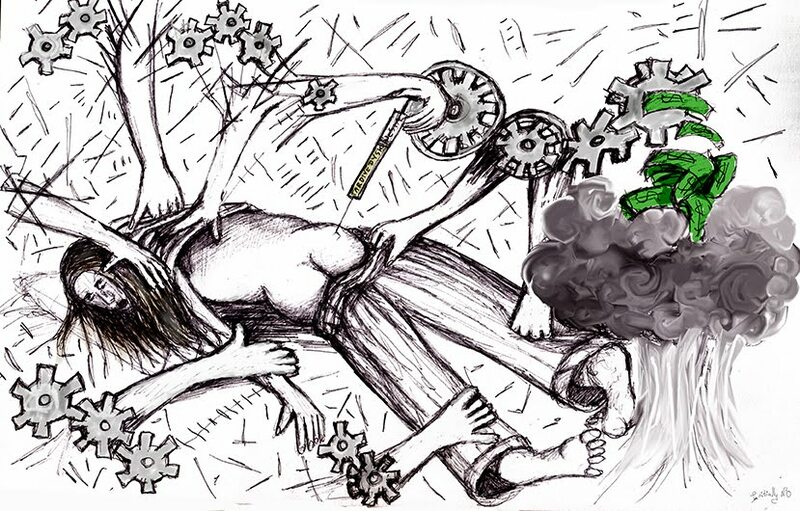 Psychiatry is currently torturing 1.5 billion people world-wide. 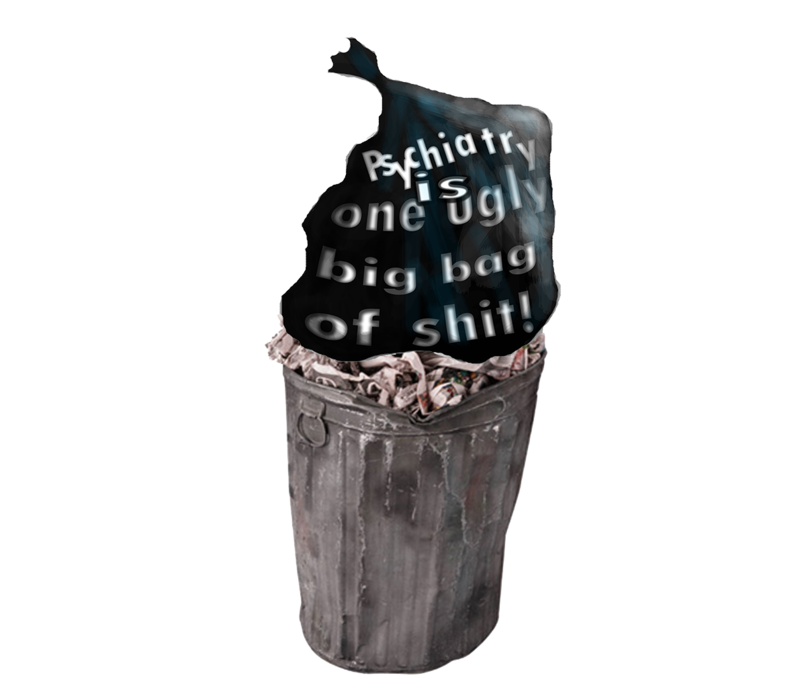 Psychiatry's abuse has increased over the 208 years of its official existence so horrifically it mentally-ills quarter of the world's population. Please learn quickly to recognise who psych survivors are, people who have been put through government endorsed torture. 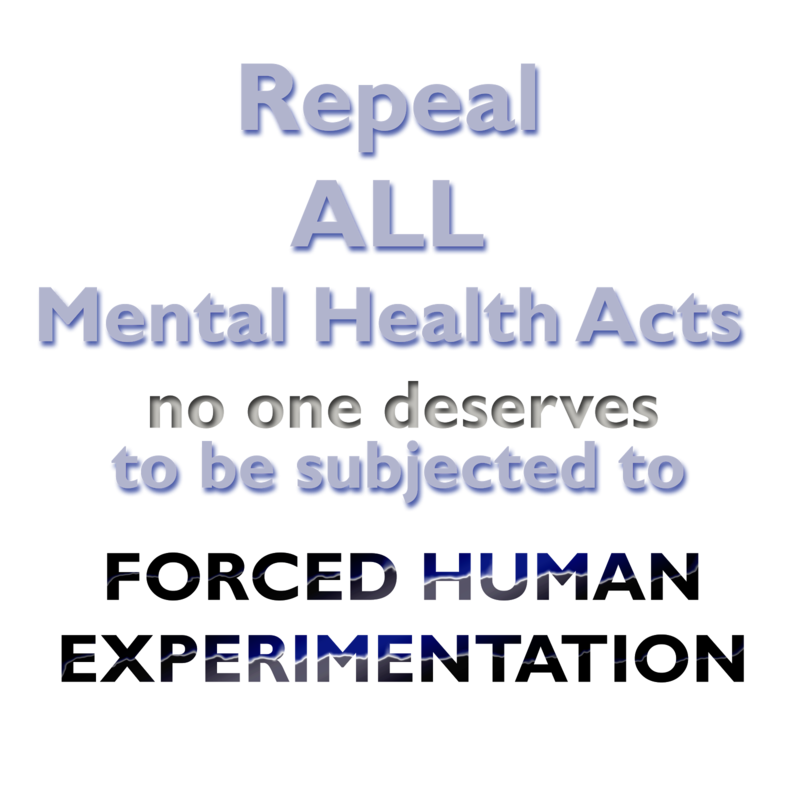 Many, many people are suffering under psychiatry, hoping, one day they can be free from the torture of being an enslaved human laboratory specimen. But that cannot happen, until the public are aware of the civil rights movement, until people recognise we need to have absolute prohibition of forced treatment & commitment. 6 year old Florida child taken from her parents by police and forcibly held in psych ward.